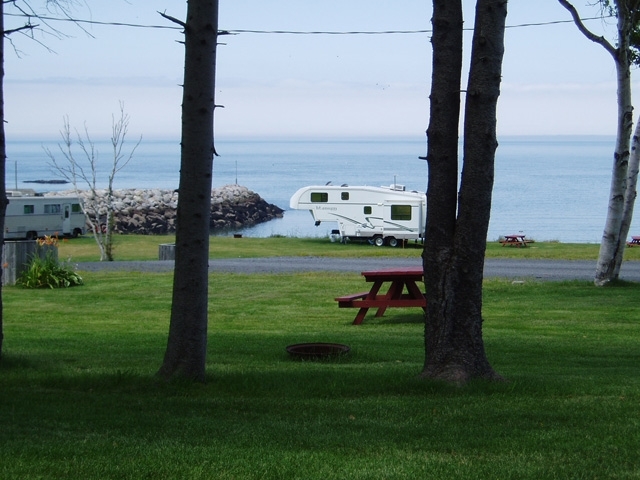 Site #56 is a grassy, un-serviced Water View site which backs up to the Shore Road West.This site overlooks the RV section of the campground and the Bay of Fundy. 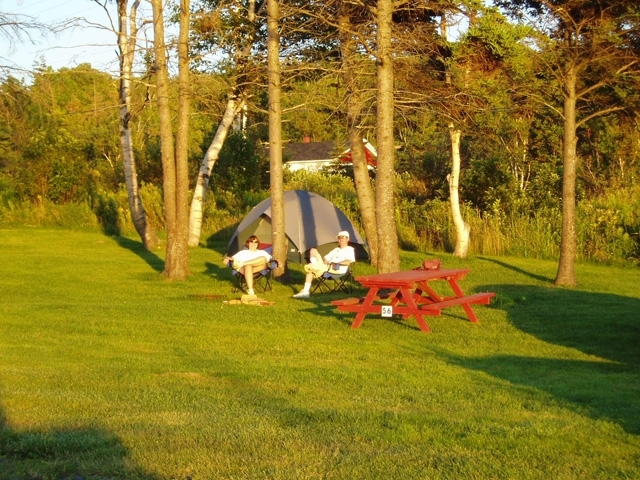 This site will accommodate one or two tents, or one vehicle of 22 feet or less. 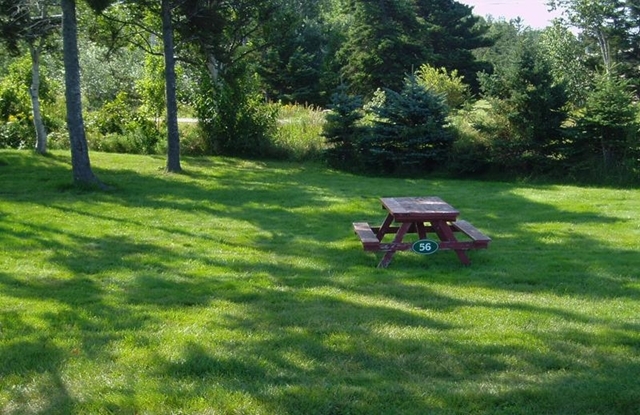 Drinking water taps, full-service washrooms, recreation hall and pool are within a short walk.